Bharat Floorings and Tiles was started in 1922 as part of the Swadeshi movement as a contribution to India’s economic independence by producing tiles of international quality to replace imports. 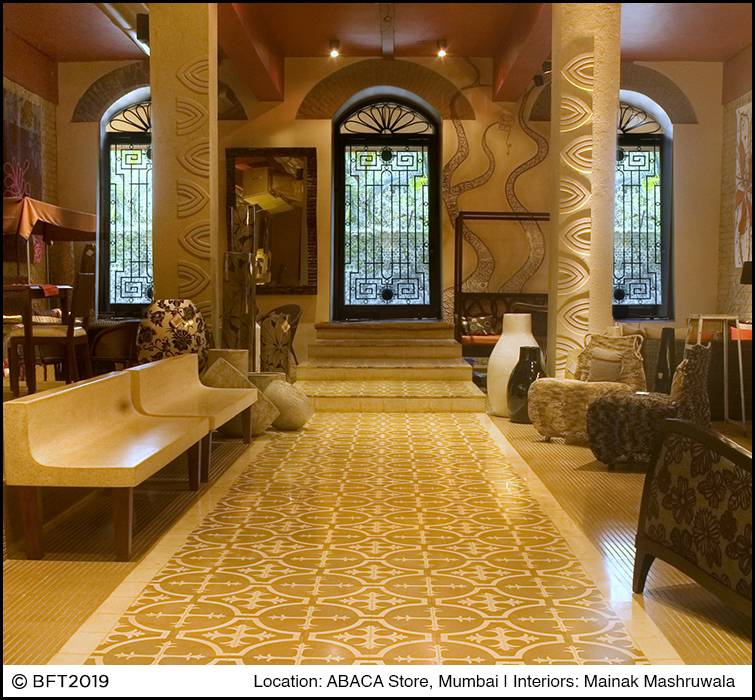 With decades of hard work and compassion Bharat Floorings and Tiles is one of the most favoured names amongst architects and designers. 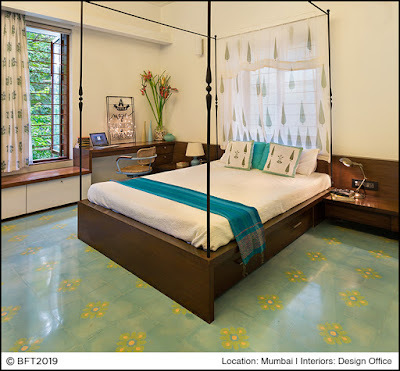 SUMMER SPECIAL HOME DÉCOR TRENDS 2019! Summer is finally here, and it’s bringing along some interior design trends that we’re very excited about! This is the perfect time to refresh your home for the season. Embrace the summers and uplift your home with trending patterns, bold prints and colours. Your home interiors should bring out the identity of who you are! 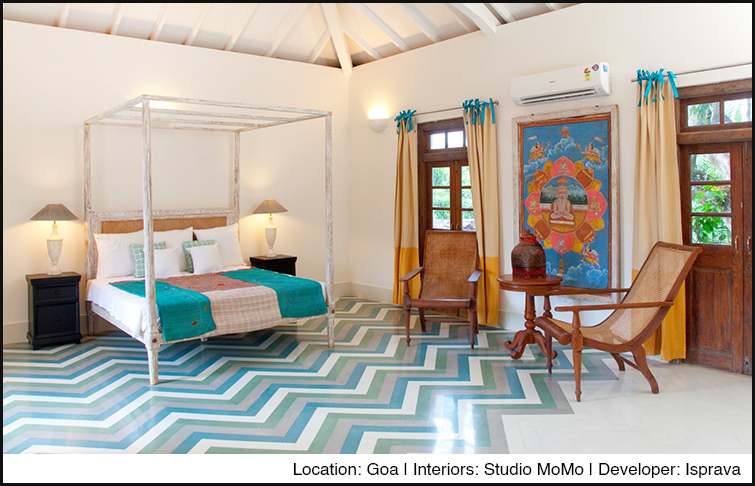 Beautiful leafy and floral prints, statement designs, pastel colours and classic furniture help in up-lifting your décor. Minimalistic décor is the way to go this summer to make your room feel airy and bright. Details are essential for acquiring a ‘wow factor’. 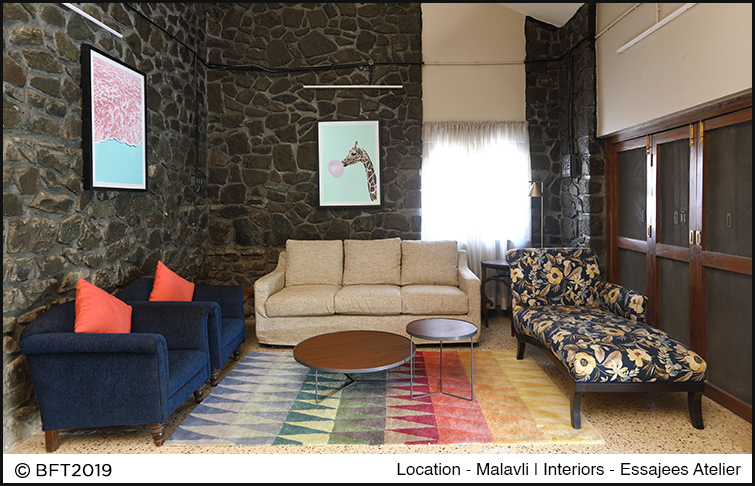 For instance, the right furniture, wall frames, cushion covers together bring out the perfect look. Light and bright colour combinations reflect light throughout the space making the room chilled and cosy. Cement tile is a great flooring option as it is neutral to extreme climatic conditions for instance tiles don’t get too hot or cold and it’s easy to your feet. In the image below Studio Momo combined a modern and vintage décor scheme to create this beautiful villa. One of the biggest positives of summer is the very bright sunlight that lasts almost throughout the entire day. Tip - Replacing heavy drapes and blinds with some soft, thin and lighter colour curtains to allow more natural light to come in, materials recommended – cotton or linen. Yellow hues have been the go-to shade over the warmer months. Bright colours such as yellow look great and create a summery vibe. Don’t just stick to one colour though! 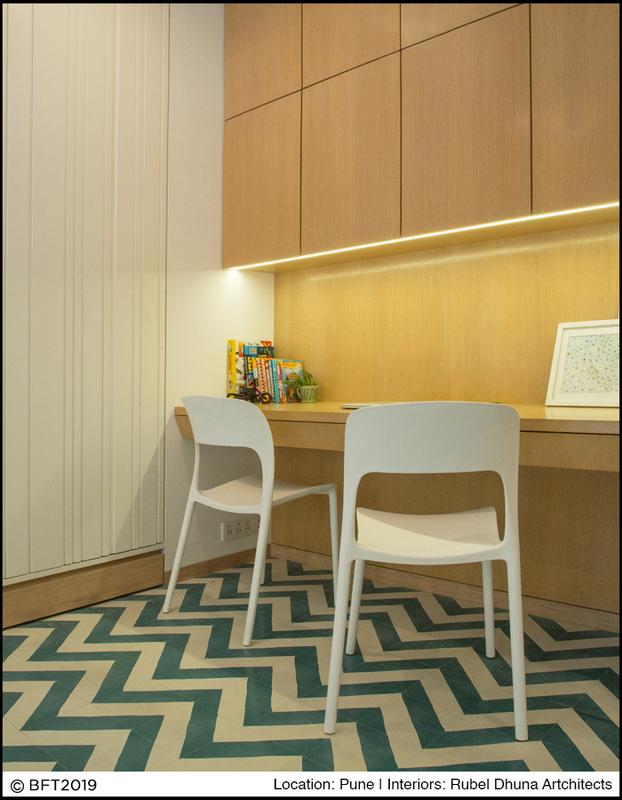 Experimenting with different colour combinations is one way in which you can design a creative space. While layering neutrals in your space, adding a pop of colour is always a good idea. It adds a refreshing burst of joy to your living space. 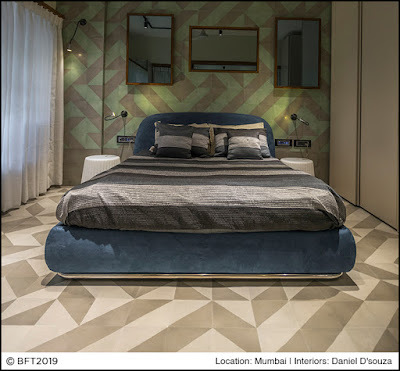 The key, however, is to keep the colour palette the same tonally, for example, in the image below you can see the flooring and walls have the same level of softness with just the colour block cushion standing out, so it’s all balanced visually. simple-looking space, you can incorporate elegant furniture and neutral colours to make the space look lighter and feel more expressive while keeping it intimate. Summer is here! Maintain and decorate your outdoor area in a way that makes it conducive to unwinding sessions that include a book, a chilled beer and some soothing music in the background. Let your spirit run free and your mind wanders off during the summer days! Make your outdoor areas more inviting by simply adding some fresh planters, bright cushions, a neutral but statement flooring pattern and comfortable furniture in your patio area. Install fly-screens and nets to keep bugs and insects outside while still allowing the cool night air to ventilate your home. 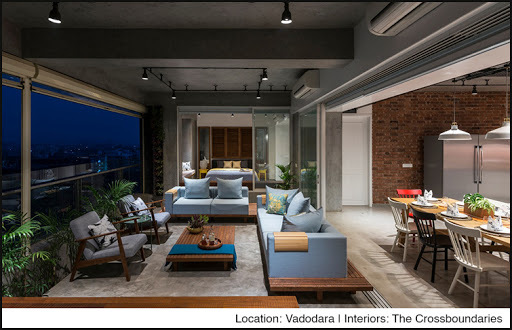 Tropical planters used in this private apartment give the space a fresh look and they help to keep the temperature relatively cool in the summers! Flowers and indoor plants are the perfect antidotes to beat the sweltering summer heat! They also brighten up the house and bring cheer to the space. Another interesting summer interior trend that will most likely be seen this season! Designing a space that is sustainable is very essential. Sustainable interior design creates interior spaces using design principles such as functionality, accessibility, and aesthetics. Raw unfinished textures like this stone finish used by the interior designer Sarah Sham looks rustic and the material is very durable and weather resistant. Organic textures and natural fabrics like jute and cotton also fit in perfectly with the summer sizzle. 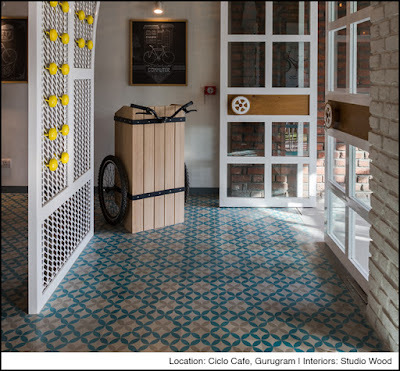 While the heat is buzzing outside, this material helps in maintaining a cosy and cool look inside! Patterns come and go but florals are forever! They make a natural fit for residential spaces. This pretty design can never go out of style and is a safe choice. 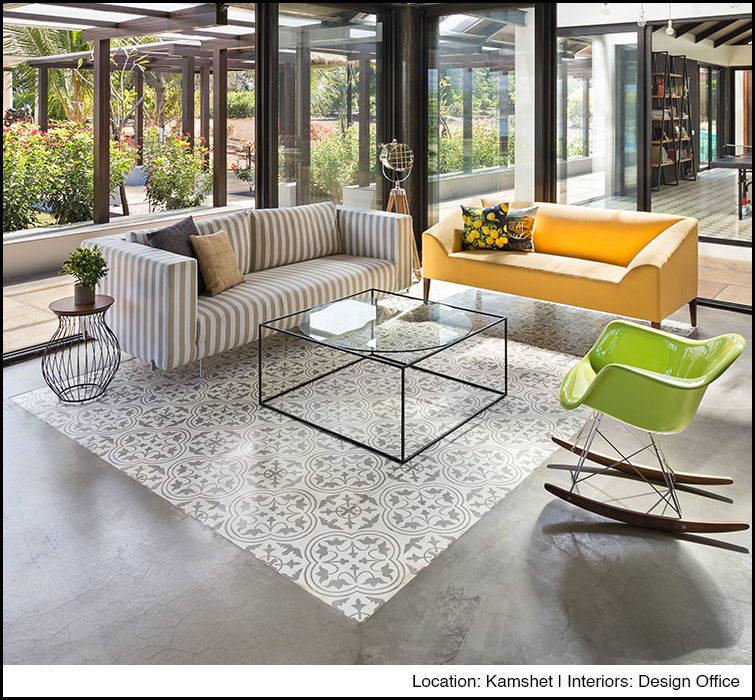 These patterns can be used as highlights, borders for a statement look, or can be laid to create a carpet look. Minimalist spaces tend to have a sleek and clean aesthetic and are, therefore, evergreen. 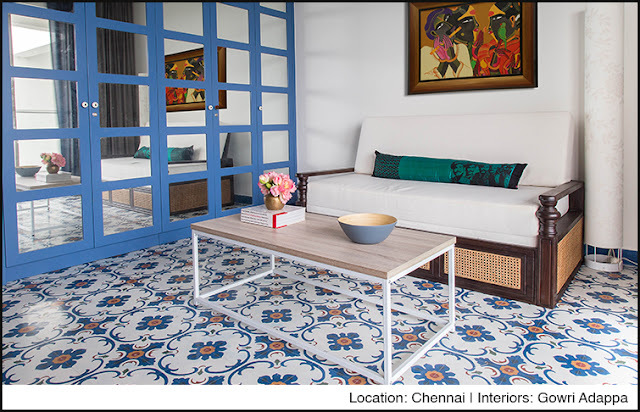 One can never get tired of these spectacular, colourful floral-patterned tiles from the Heritage collection. It is all about getting these little things right to create a warm and relaxing vibe! Hope this article helps to get you summer ready? 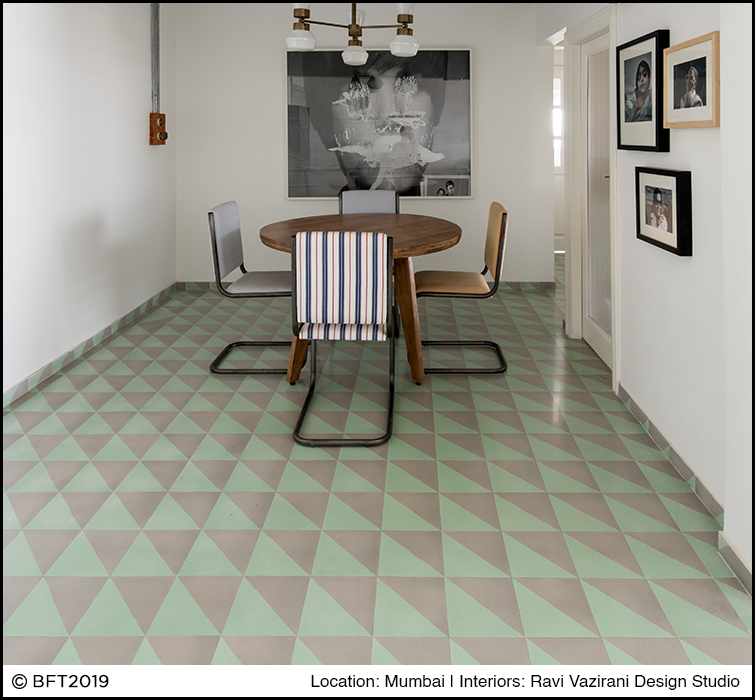 For constant updates on ways to design your home follow us on our Instagram account - @bharatfloorings and Facebook page - @Bharatflooringsandtiles for more updates! Check out our patterns on – www.bharatfloorings.com MUMBAI – HEAD OFFICE Bharat Floorings & Tiles (Mumbai) Pvt. Ltd32, Mumbai Samachar Marg, Ground Floor, Next to Stock Exchange, Fort, Mumbai - 400 023Tel: 91 (22) 4057 4400/23/44E-mail: info@bharatfloorings.com Come visit us at our stores in Mumbai, Goa, New Delhi, Pune and Bangalore (by appointment). Your entryway is one of the most important areas to welcome guests or customers, be it a residential or commercial space! No matter what the size of the space, when the front doors open it’s the first thing your customer in an office or a restaurant, or a guest who visits your home sees. You never get a second chance to make a great first impression! It’s therefore important that your entryway is welcoming to guests, makes them feel comfortable as soon as they walk through the door and, most importantly reflects your personal style. Create a space in a way that makes sure the entryway art, furniture, paint colour, and seating you choose to generate a positive reaction. 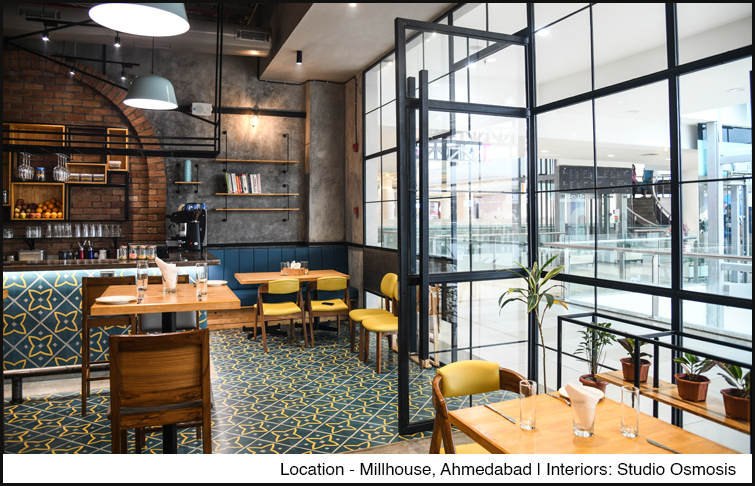 Your restaurant is not just about how delicious the food is, it’s also about the interiors of the space and the vibe it generates! Nowadays, people don’t just go to a restaurant to eat but also to showcase their experience to their friends and family through pictures on social media. As a restaurateur, it is important to keep this in mind. You can create a photo-friendly space by adding quirky and fun décor elements at the entrance like you can see in the image below. The designer Studio Wood created this statement wall and used custom-made bespoke Momo pattern flooring and unique interior concepts at Café Ciclo in Gurugram to create a dramatic look and feel that is totally Instagram-worthy! It’s very important to put up a bench or a chair at the entrance of a restaurant. A small seating area will not only create a cosy feel but also makes a customer comfortable while they wait for their table. 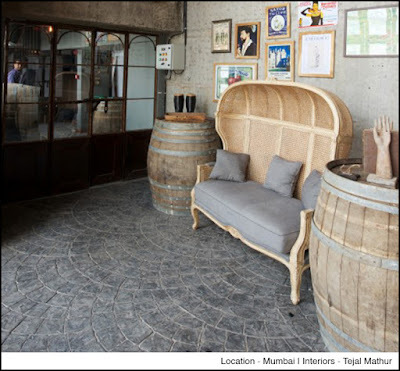 The seating made of jute/ cane at the entrance of the British Brewing Company reiterates the classic setting at the restaurant. The artistic décor elements used by designer Tejal Mathur create a whimsical vibe at this friendly neighbourhood gastropub. Beauty lies in the eyes of the beholder! Putting on our styling hats, we’d suggest using a statement pattern on your floor that can enhance and highlight the remaining décor and furniture of the space instantly! 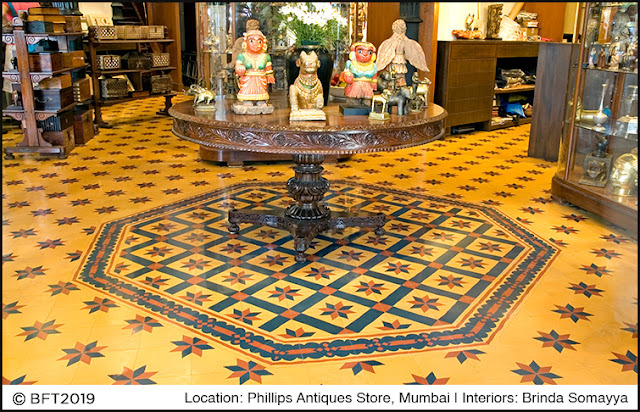 The designer Brinda Somayya created this look at the entrance of the Phillips Store to get the desired effect. This Star and Diamond pattern from the HeritageTM collection is a classic design which gives a very soothing and vintage effect to the interiors! The first thing someone sees before even entering a house or store is the front door. Add some drama with a large front door that makes people go ‘Wow’ instantly! This antique furniture store has a very vintage inspired door which appropriately reflects the kind of space you’re walking in to. The entry of your home sets the tone for the rest of the space. Artistic wall frames, planters, antique furniture all blend in well to create a stunning entrance! 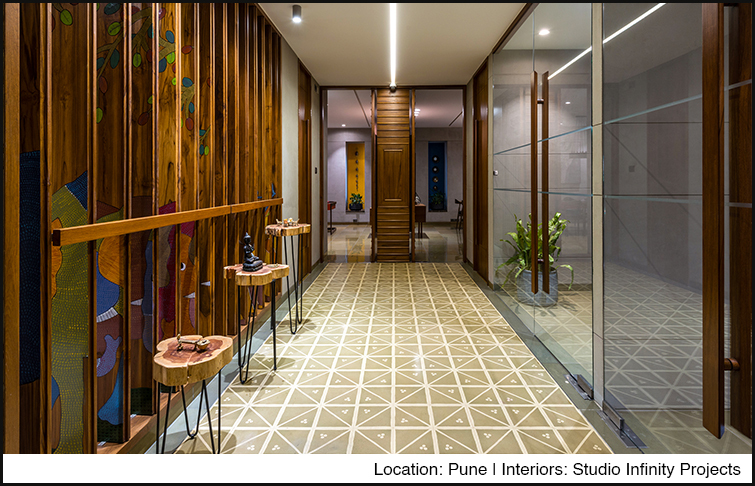 Planters help to add some greenery and freshness to the space like you can see in the image below. This design scheme of artistic décor elements and vintage furniture in the image below creates a perfect balance of old and new, luxurious and accessible, looking fresh and evergreen! 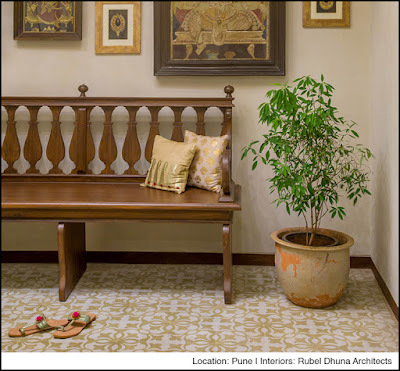 This apartment designed by Rubel Dhuna Architects has a wide entrance so she used the classic and traditional floral design to give it a statement look. The home imparts a vintage vibe right from the entryway! Wooden furniture is nothing but a classic and artistic way to amp up the décor of your foyer! 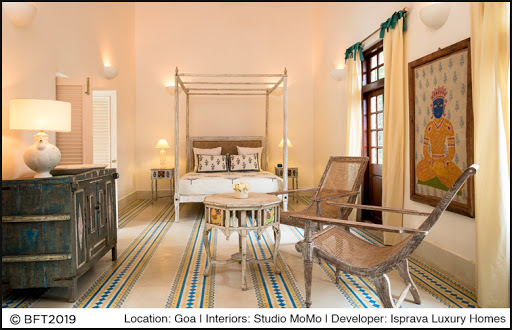 The entrance of this private apartment looks as luxurious as ever with beautifully crafted side tables harbouring artistic décor pieces and wooden shutters on the side incorporating colourful painting designs. A foyer is a great place for a tall mirror so guests can check themselves while entering or exiting the apartment. It also adds a nice decorative touch. This foyer designed by Studio Infinity Project is decor goals of all sorts! The aim while designing the entrance or front door should be to make it as inviting, welcoming, and attractive as you can! Avoid creating a cluttered area, it should look spacious. We hope these tips will be useful to anyone looking to do up their entryway! According to Joan DeJean, living rooms started out as formal display spaces for welcoming guests in the 17th century, but slowly morphed into the more casual gathering spaces that we know today. A living room is not only a place to watch TV, it is an area for a family gathering and a space to communicate. The living room is the place where friends and family gather to spend quality time in a home, so it's important for it to be well-designed. A house is made of walls and beams, but a home is made of dreams and hopes! Being inspired by this very famous quote here are few tips on how to design you living room to create a contemporary vibe that makes guests feel welcome at the same time. Designing a space that is sustainable is very essential. Sustainable interior design creates interior spaces using design principles such as functionality, accessibility, and aesthetics. Living room interior design trends are focusing more and more on sustainability and thoughtful design practices and approaches – whether that is making furnishings out of recycled materials, up-cycling pre-loved items, or sourcing eco-friendly materials in a more responsible way. Sustainable design projects are influenced by such factors as planning efficient use of space, choosing materials with low environmental impacts, and reducing energy consumption, pollution, and waste. Embrace the curves! Sofas, tables, chairs, consoles — all are available in curvy designs that soften a roomful of angular pieces. It is an elegant motif that fits well with contemporary interiors. A chair and table used of this style is a great addition to the décor. 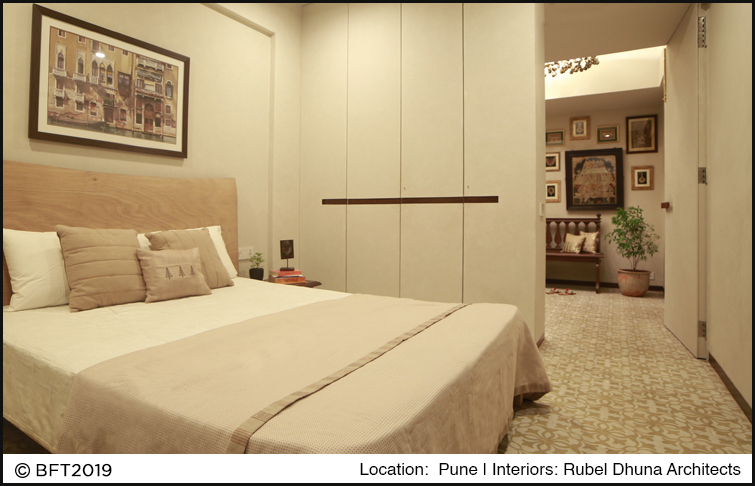 In the image below the décor scheme used for this private apartment is “Minimalism” designed by Ravi Vazirani. A great tip to keep in mind while creating an elegant and sophisticated space – always opt for pastels or a neutral colour scheme! In the image below the designer has kept the remaining layout of the space clean and uncluttered, letting the floors shine! Trick – You need one statement décor element to transform the space, it can be anything from a patterned floor to colour blocked furniture. Patterns come and go but florals are forever! They make a natural fit for residential spaces. This pretty design can never go out of style and is a safe choice. Timeless and long-lasting – two words that we think describe these designs perfectly! These patterns can be used as highlights, borders for a statement look, or can be laid to create a carpet look. Minimalist, vintage spaces tend to have a sleek and clean aesthetic and are, therefore, evergreen. One can never get tired of these spectacular, colourful floral-patterned tiles from the Heritage collection. The days of plain, single-solid coloured floors are in the past. Evocative, abstract patterns and geometric forms are making their way into living rooms. Strong, bold lines and direct, focused themes with definite shapes are some key features that make the Geometrique collection a perfect choice for personal spaces. They add character and drama to your living room! 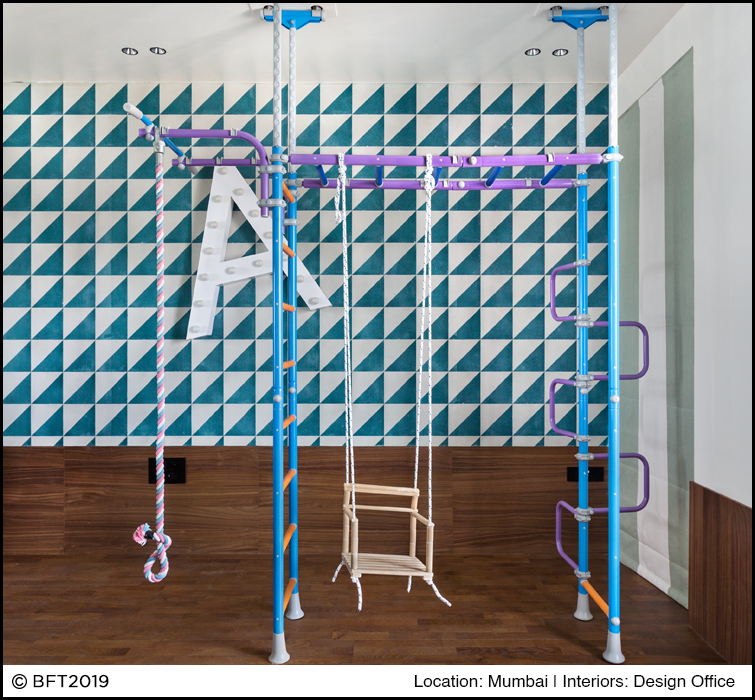 You can incorporate geometric plays in small ways, with soft colours, or you can go all out with bold and bright colours. 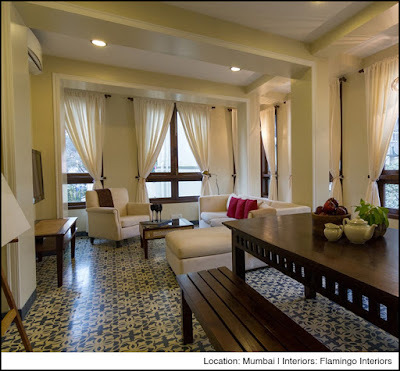 The perfect blend of colour & design forms an integral part in making this space look luxurious as well as cosy! While designing your living room comfort is essential but having artistic décor elements creates room for convention and adds to the interiors. Your living room space should reflect who you are; your style and personality. 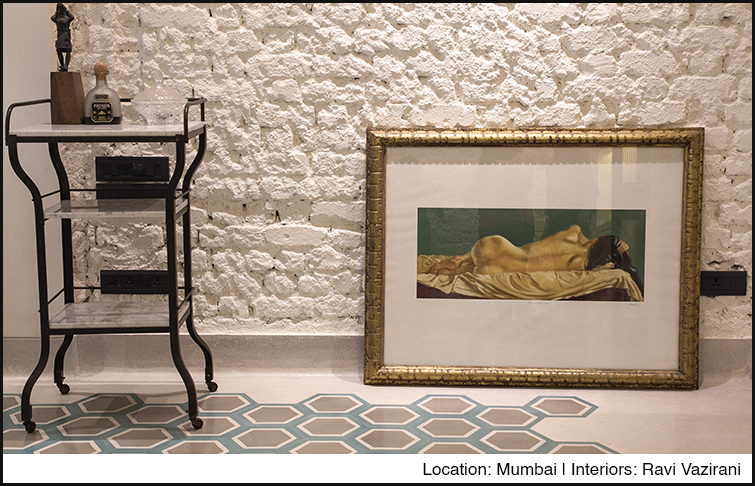 From artistic wall hangings, floorings, furniture each home décor should reflect ‘YOU’. For someone with a playful personality, using bright colour combinations and mixing different patterns together work very well to create an artistic look. Neutral and soothing colours are a perfect base for a living room colour scheme. Colours can uplift your mood instantly so why not give it importance when designing your living room? Light pastels are becoming a popular addition to the contemporary neutral colours of minimalism. Add pastel touches to your living room to achieve this pretty, welcoming, and elegant style! Bright and sunny, and still tastefully beautiful colours should be kept in mind when selecting a colour combination. We hope these tips will be useful to anyone looking to revamp their living room area! Creativity (n.) – The ability to transcend traditional ideas and to create meaningful new ones. If you’re looking to redesign your child’s room, create a dream space which is creative! Always keep an open mind when exploring fun and playful colours, décor elements and furniture! 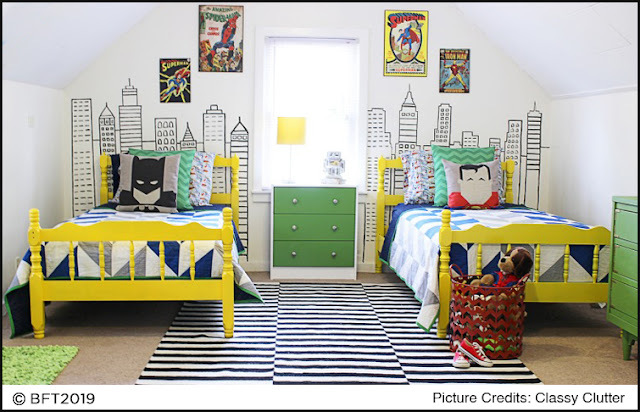 Decorating a kid’s bedroom doesn’t mean that you must compromise on the style quotient. The process opens a whole new world of fun and exciting possibilities! Use décor elements that add to the learning of a child for instance geometric or alphabetical shapes and patterns for your floors or walls… It’s the perfect excuse to go bold, whimsical or chic depending on your little one’s personality! Your kid spends most of their time in the bedroom, either sleeping, playing video games, watching TV or doing homework. Therefore, the room should cater to your child’s needs that will serve as an inspiration for designing the bedroom. 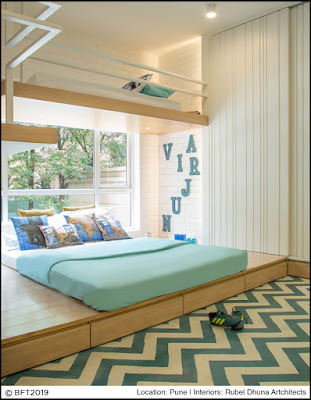 The bedroom should also be designed as per who your child would want to be and the innocence of the kid. It should be stylish, practical, fun and most importantly, super cosy. While designing a children’s room it is essential to make it feel spacious! Think about the future needs of your child too, since you won’t always renovate your house. 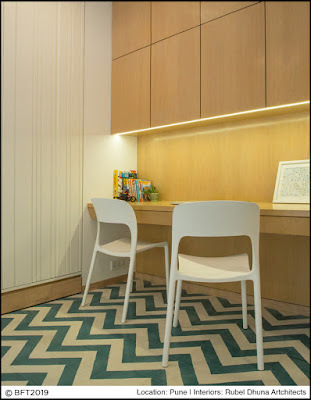 As your child grows their room will need space for a study table, storage, games etc. Utilize space effectively by shopping for multi-functional furniture that can provide storage options. For instance, a desk space that has hidden storage facility or storage beds with built-in drawers and roll-out containers, or a display stand where toys can be showcased, which once the child grows up can be used as a bookshelf too. Layer up and accessorize your kid’s bedroom with decorative printed bedding and bold, playful colours to add a bright and cheerful vibe to the room! Adding décor items like buntings make for cute decorative elements in a child’s bedroom. Another interesting way to accessorize your kid’s space is to add wallpapers, patterned floorings, decorative curtains, monochrome block printed throws, soft toys and innovative wall hangings! 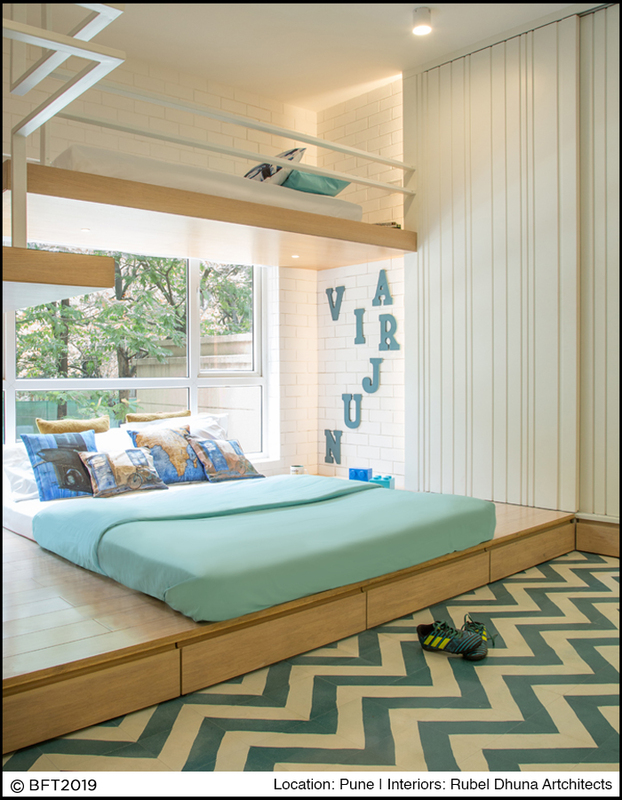 Make your kid’s bedroom stand out by using vivacious and attractive colours and patterns on the walls! 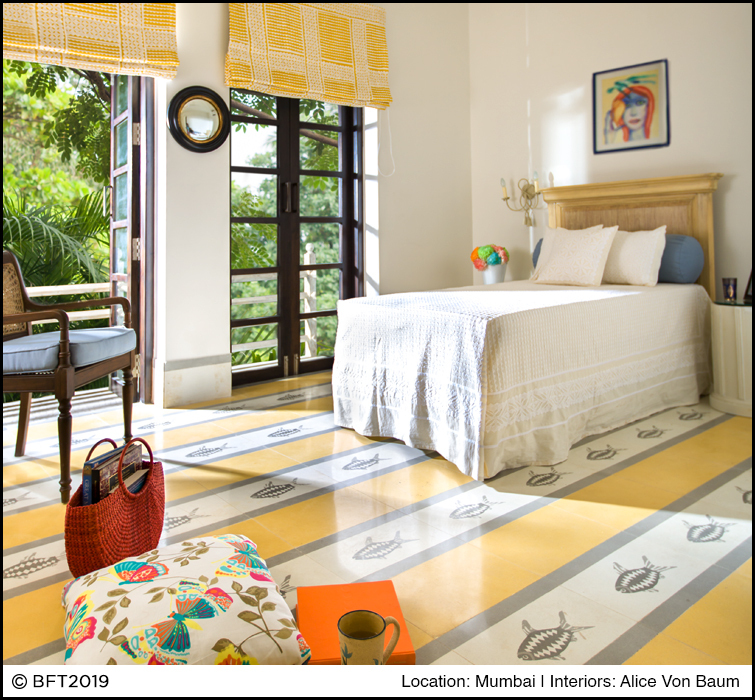 Playful colours with fun patterns like animal motifs and abstract designs are an apt choice for your children’s room. BFT has striking colour options that bring life to any space instantly. Blue Lagoon with a shade of white complement each other beautifully as you can see in the image below. 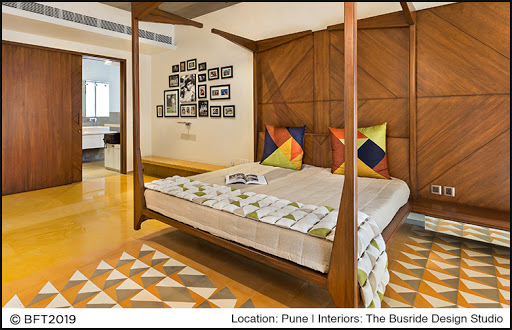 These wall tiles placed in the bedroom of a private apartment in Mumbai give the space an exuberant vibe! Another lovely colour option for your kid’s bedroom is to add a pop of sunshine yellow that works well against plain white walls. Tip: If you have a small room, use lighter shades, since these create a wider, more open appearance. 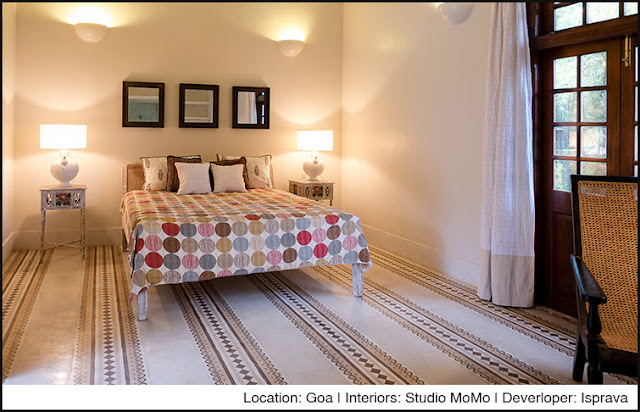 The love for asymmetric patterns creates an artistic look, be it a boy’s bedroom or a girl’s! The child’s room is a perfect place to explore new ideas and vibrant colours. 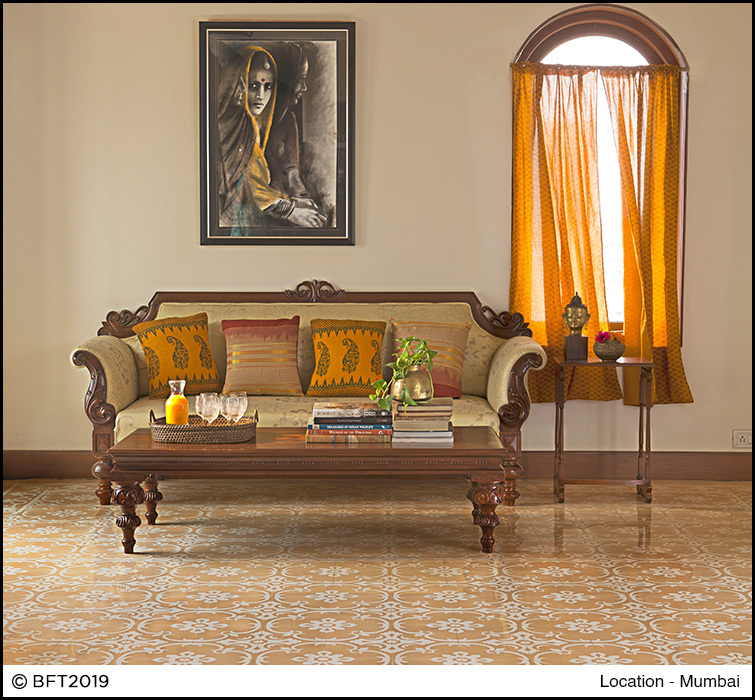 The Borobu pattern from our designer collaboration – BFT+ range seen in the image below creates quite a statement! 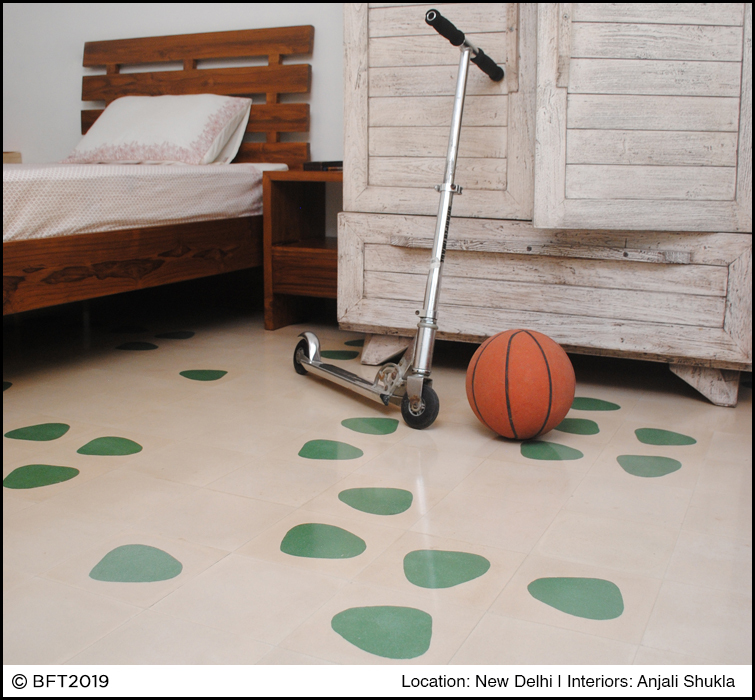 If you’re opting for a whimsical look in your kid’s room, the BFT+ Range – Japanese Line is calling out to you! A zone where you can cosy up and cuddle with your little one and read them their favourite bed time story or sing them to sleep with a lullaby. A room that emanates the ultimate warm and fuzzy feeling! You can achieve such an environment by using decor elements like a blackboard, bean bag, stuffed toys, artistic side lamps or hanging ceiling lights, for instance, star shape lights or lanterns that help you give the room a snug feel and comfy vibe. You can also create a themed décor for your kid’s room, ex. a superman theme for a boy or a princess theme for a girl…creating a delightful little wonderland of their own! A helpful tip - Combining patterns that are complementary in colour helps bring them together in an unconventional way. It’s a fantastic way to create an intentionally vibrant look that doesn’t appear messy! If you’re opting to re-do the interiors of your kid’s bedroom– tiles add a great statement, especially the abstract or geometrical pattern. At BFT you can customize your floors by mixing and matching two or more different patterns together to create a playful look! These decorative patterns make an excellent choice for floorings, offering both beauty and durability. "A child's bedroom should be a haven, a space they love spending time in, where they feel safe as they drift off to sleep and comforted by what they see when they wake up in the morning" according to interior designer Carolyn Feder. If you’re a parent who loves design, wait no more...get started today on creating the perfect bedroom space for your most beloved baby girl or boy. Abstract motifs, themed décor, playful colours, multi-functionality, fun accessories! Which of these featured kids’ room trends is your favourite? Let us know in the comments below. Hope this article is helpful in designing your little champ or princess’s cosy little space! Bedroom Goals - A balance of comfort and style! It’s safe to say that your bedroom is the most important room in your house! It is a place where you rise and shine every day of your life! A place where you unwind at the end of a long day, where you enjoy a good night’s sleep; a place where you wake up each day feeling refreshed and rejuvenated. 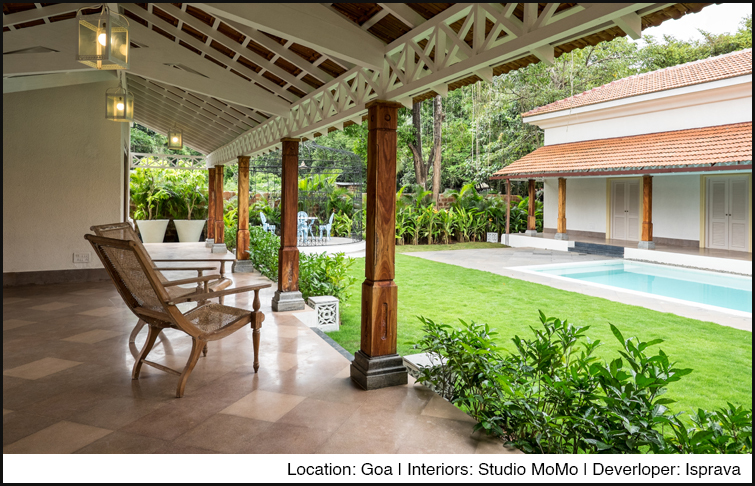 It is a very personal space where you inevitably spend most of your time, hence, it should be designed in a way that makes it a relaxing haven, a retreat of sorts, and the perfect amalgamation of style and comfort…But have you ever thought of a way to achieve this? Interior styling is very important…We know it is hard to design a bedroom that is stylish yet functional, calming and relaxing. 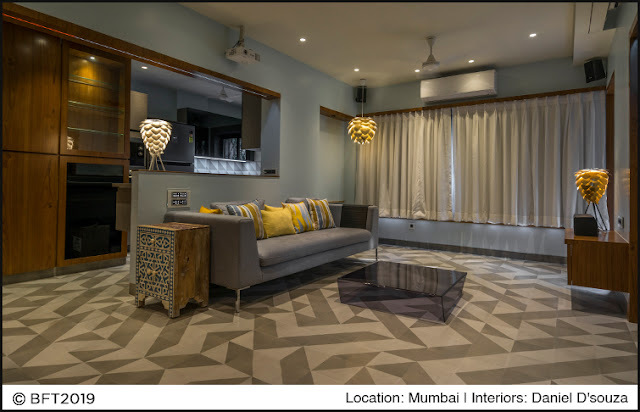 In this article, we help you with some simple tips and tricks that can elevate your room design instantly. All you need is that feeling of comfort, and a great way to attain that is with the use of soothing colours! Use colours and shades that bring life to your space and positivity and peacefulness to your mind. 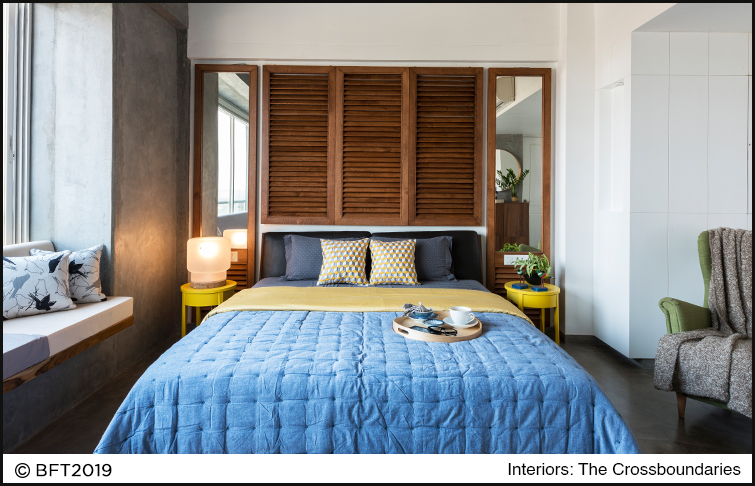 Cool/warm colours like shades of blue and yellow create a tranquil and calming vibe. 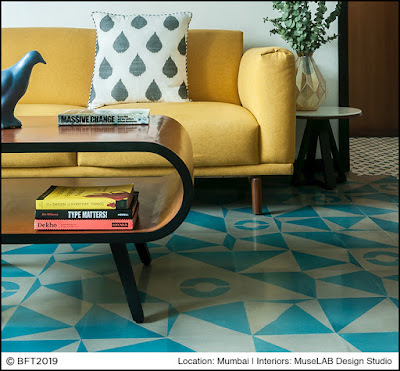 Year after year, flooring trends are certainly getting more creative and taking quite an interesting turn. Contrasting colours are expected to be a huge hit! While layering neutrals in your space, add a pop of colour to your floors to liven up your space instantly. Your bedroom doesn’t need to have a lot of décor elements to make it stand out, just a few essential pieces that make you happy and make the space feel right. Simplicity is the key to creativity! Create a simple and sophisticated look using elegant design. 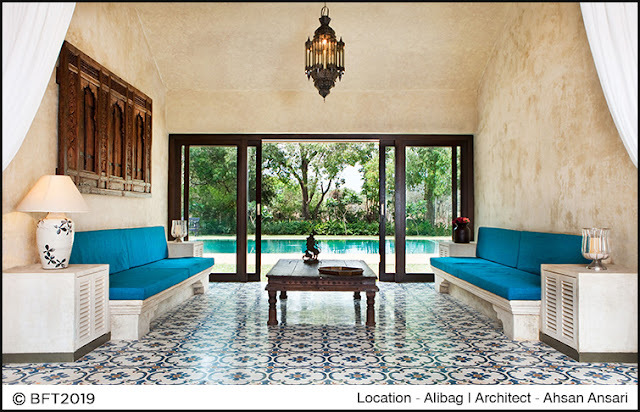 You can achieve this by using Bharat’s terrazzo range, a decorative element of timeless beauty! The image below is a great example of how elegant this material looks on your wall. Its versatility and simplicity allow it to fit perfectly with any decorative style, providing both elegance and naturalness. 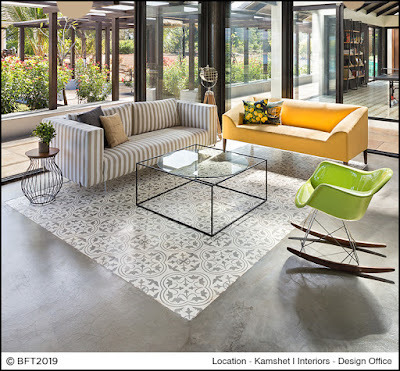 The contemporary interior design trends are all about simplicity and BFT is known for their sophisticated flooring designs that strive to bring out the elegance of a space through timeless design and highest quality materials. It’s important to add some glamour to your personal space and the best way to do so is to add elements that create a statement in your bedroom either on the walls, floors or with the furniture! - The fastest way to make a design statement is with a dramatic piece of furniture, in the bedroom, that means a striking four-poster bed. - Creating a statement wall is also a good idea! 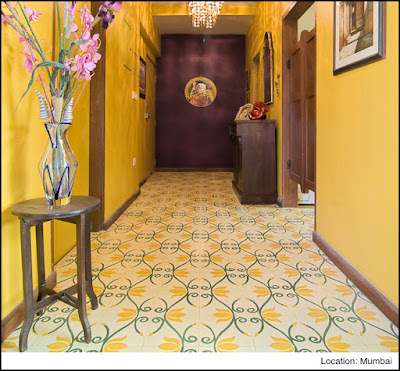 You can achieve that by using colourful pattern tiles as you can see in the image below. 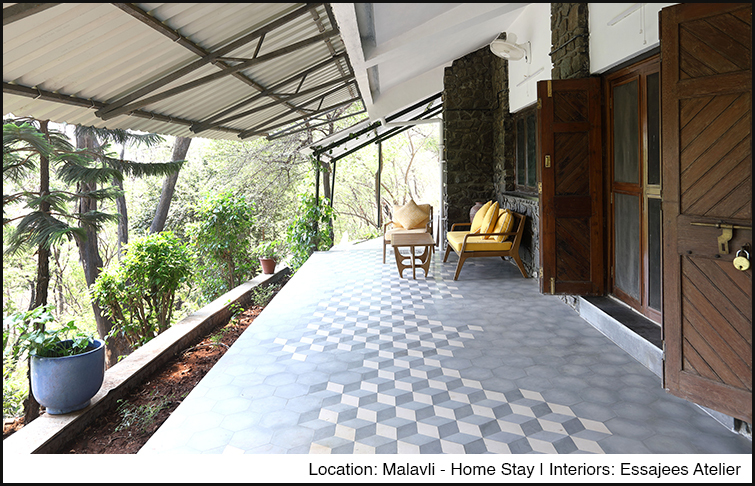 The Le Mill tiles are used to accentuate your home decor by making a bold statement on your walls and your floor tiles design. This eye-catching detail pattern can effortlessly elevate your aesthetic to a high level without overwhelming the look. - Good mirror placement, a bedroom essential! It makes your space look larger, brighter and unique. If placed in an accurate spot it can create a statement. Beautiful and elegant floral-patterned tiles and artistic frames on the walls add the desirable modern touch as well as a sense of whimsy to an otherwise classic décor setting. 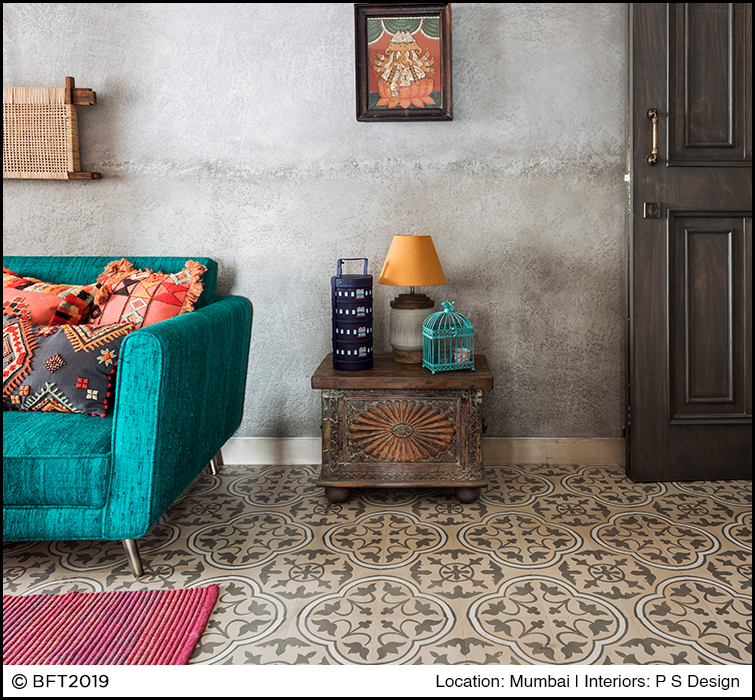 Adding playful colours, pretty prints, modern furniture and something that you truly love are elements that play a key role in creating a contemporary look! Who doesn’t love a cosy, elegant and luxurious bedroom designed in a contemporary style! It gives you a feeling of relaxation, calmness, and absolute comfort. Soft textures help to de-stress after a busy day. Clean lines and uncluttered surfaces bring your mind in order. You may achieve this look by using soothing colours together with pleasant to the touch materials and rich textures. Plenty of pillows and cushions on the bed and a throw will give extra cosiness to your bedroom. This lovely room designed by Crossboundaries gets it just right by using layers of knit, quilted bedding and silky fabric on the along with the contrasting colour scheme of blue, yellow and brown that adds immense character to this sunlit room. From the colourful to contemporary and even classic styles, we have all that you need to glam up your space! 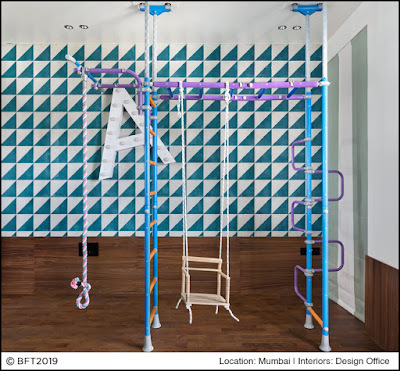 Designing can take many forms, there is no wrong or right when it comes to design and creativity, it is versatile and flexible as per your personal taste. 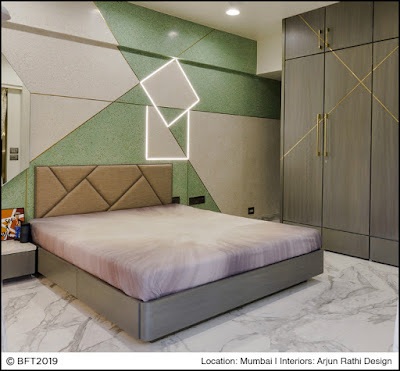 A well-designed bedroom features most important details like statement artwork, floors, elegant light fixtures, and elements such as upholstered headboards and soft, silky, smooth to the touch bedding that is snooze-inducing. The perfect bedroom scheme must be warm, welcoming and the kind of setting where you can imagine yourself curling up in bed and reading a good book or watching your favourite TV show, reading your little one a story or just spending some good old me time. Hope this article is helpful in designing your own cosy little haven!